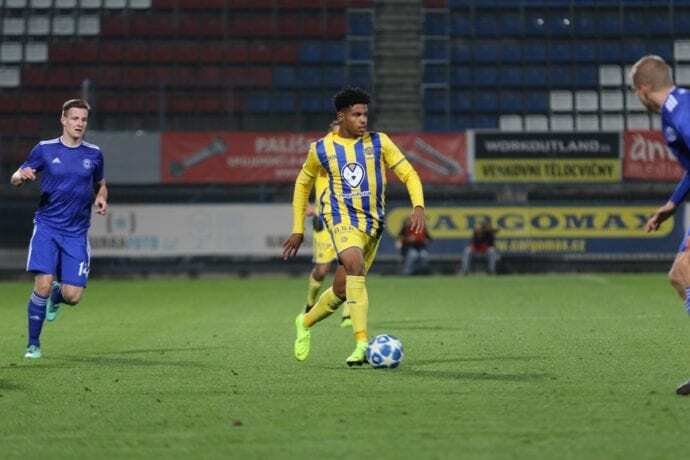 The Under-19 squad continued their European Journey today in the Czech Republic when they played Sigma Olomouc to a 1:1 draw. 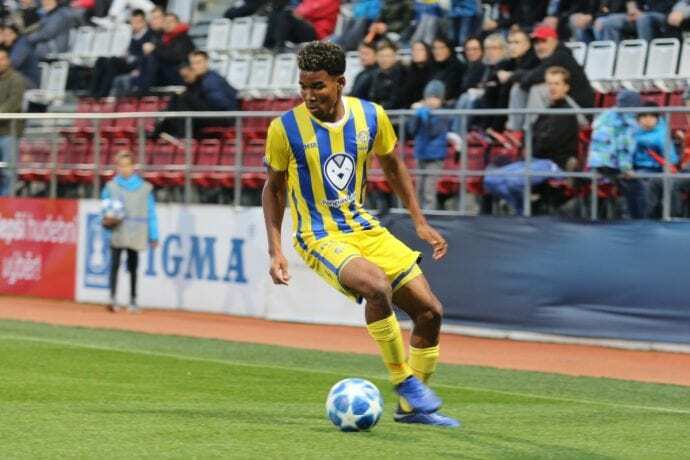 The match was the first leg of a two legged UEFA Youth Champions League tie for Maccabi “Shachar” after they disposed of Russian outfit Anzhi Makhachkala in the first round. 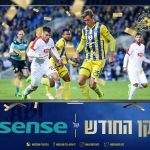 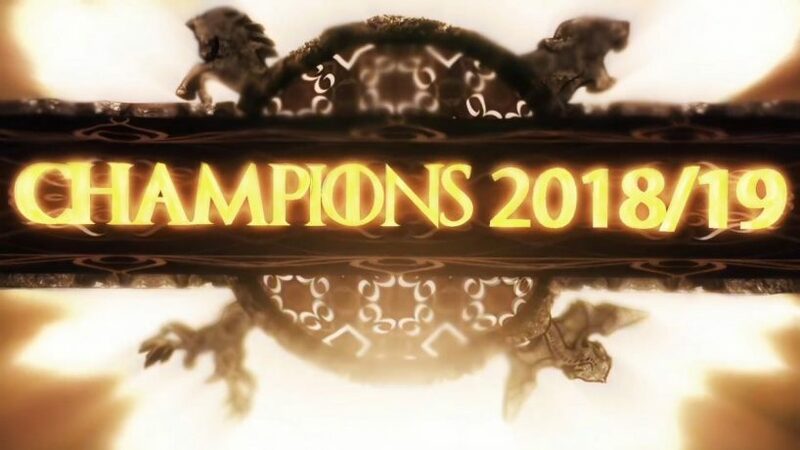 The return leg will take place in Israel on November 28. 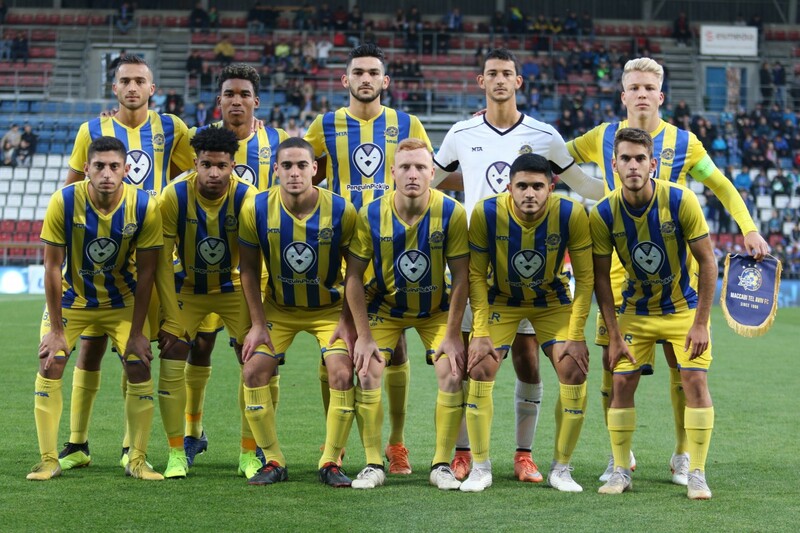 Maccabi “Shachar” Tel Aviv Starting XI: Or Itzhak, Michael Chilaka, Amit Glazer, Alon Shtrozberg, Dan Lugassi, Ido Shahar, Yoav Hofmayster, Omer Barami, Rave Assayag, Eduardo Guerrero and Ey al Hen. 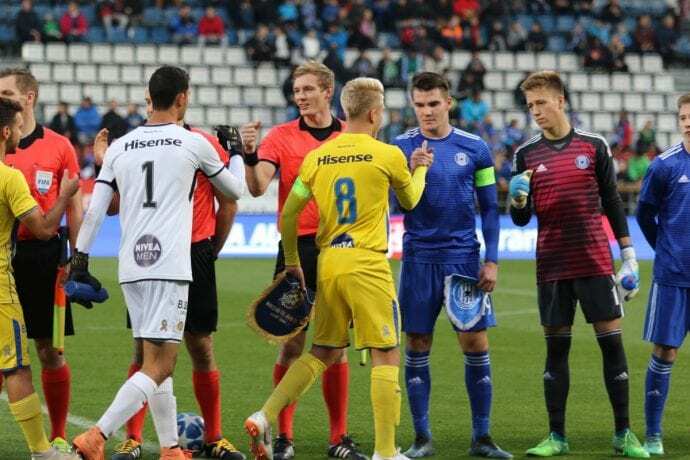 The Czech side opened well and had a pair of terrific chances to take the lead as Zifčák and Zlatohlávek had opportunities but Itzhak made the big save off the latter to keep the match goalless early on. 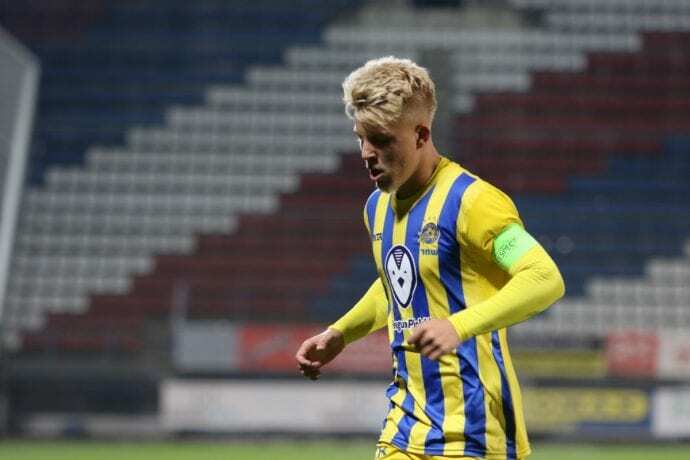 Lugassi was issued a yellow card in the 16’ after a foul on Zifčák in the 16’ while five minutes later the young Yellow & Blue had their first chance of the contest when Assayag missed the target off a Hofmayster corner. 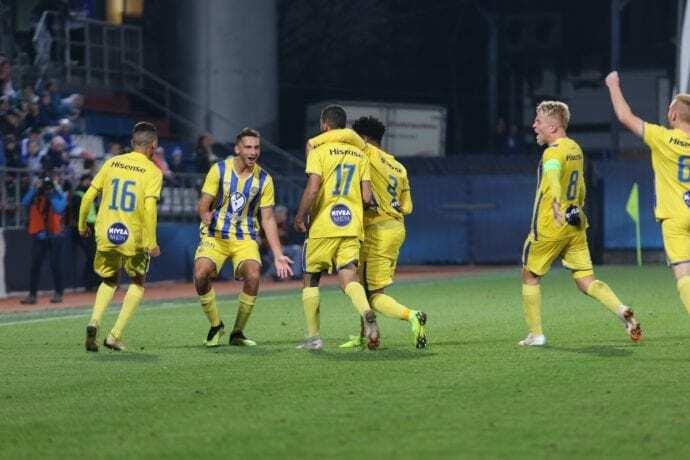 Sigma threatened Itzhak’s goal in the 27’ but Galus’s chance from 10 meters went out and three minutes later Zifčák again missed the target. 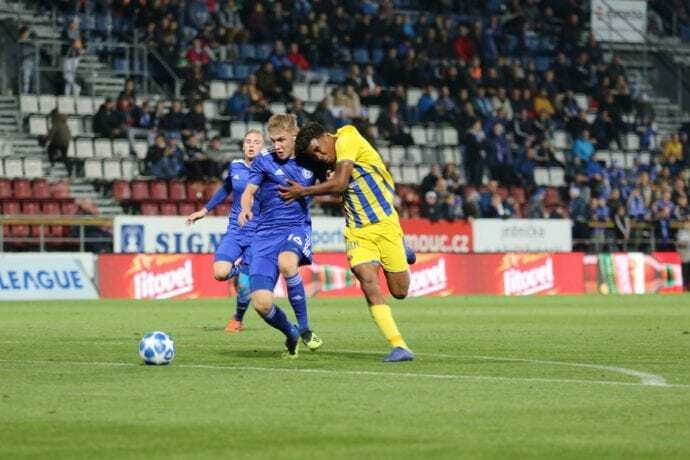 Barami tried his luck in the 35’ but his shot went into the Czech defense as the match remained goalless into the break. 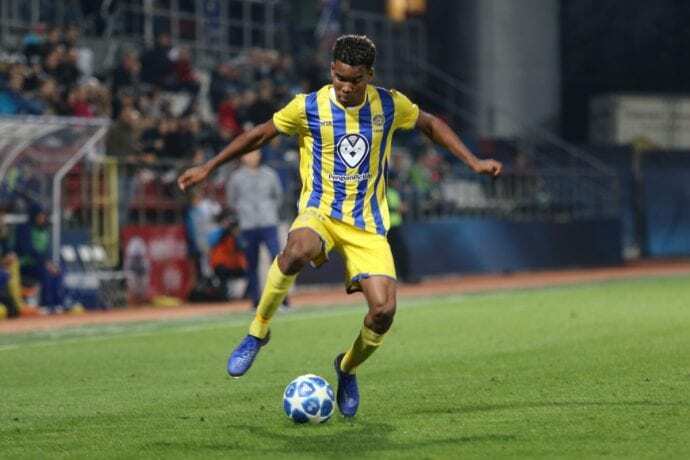 Maccabi’s first chance of the second half came in the 55’ when Guerrero went from right to left but his left footed shot just went by the post and out. 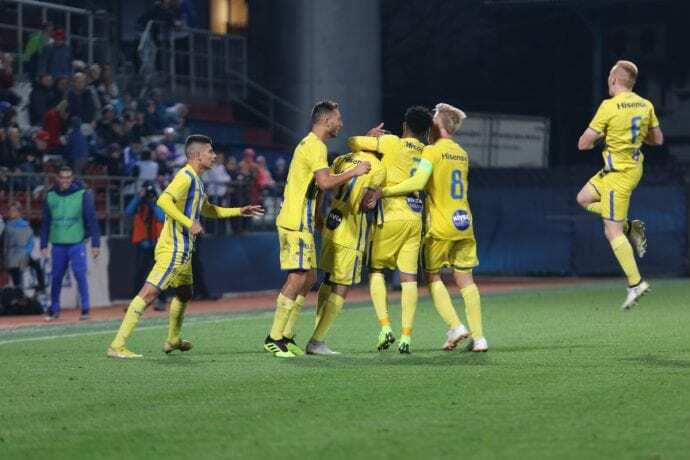 Two minutes later, Hofmayster lifted a ball to Barami but his header went over the goal and in the 63’ Mufleh Shalata came into the match in favor of Hen. But five minutes later the host’s took a 1:0 lead as Langer got the ball to Zima in the box as the central defender headed home the goal. 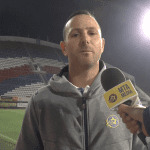 Maccabi then made a number of substitutes as the Yellow & Blue looked for the equalizer and a valuable away goal. 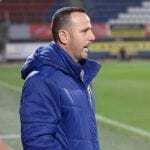 As the match neared it’s end Bar Cohen took an attempt from 20 meter but the keeper made the stop in the 82’. 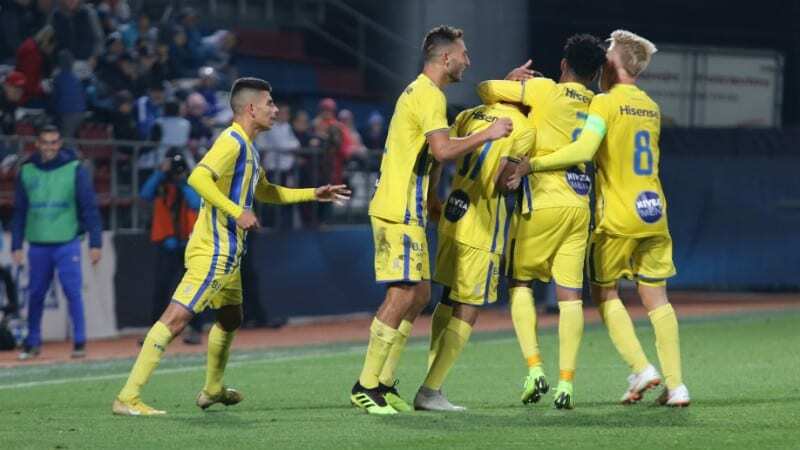 However, the Maccabi pressure paid off and in the 87’ Shalata made his way by three players and took a left footed shot from 13 meters which beat the Sigma keeper to draw the Yellow & Blue even at 1:1. 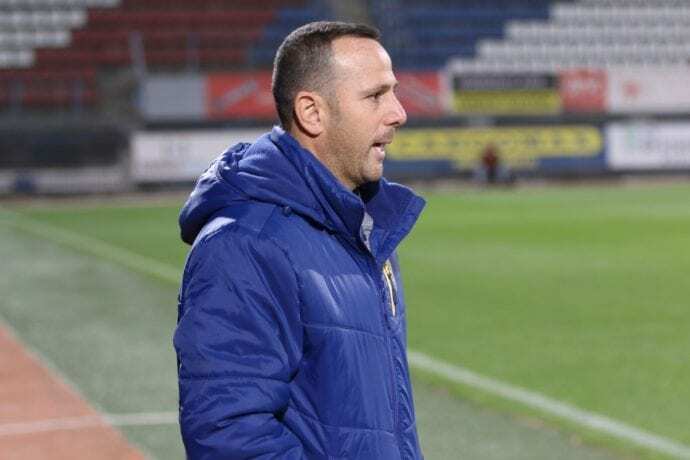 Guy Tzarfati’s side will return to Israel with an away goal and a chance to advance to the next round when they meet Sigma Olomouc at home in November 27 in the second leg of the two-legged tie.